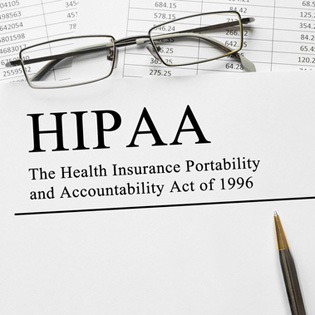 Are Managed Cloud Services HIPAA and HITECH Compliant? The Internet is no longer in its infancy. Digital technology has evolved into the Internet of Things (IoT), characterized by cloud computing models that have allowed unprecedented knowledge and communication. The HITECH Act is seven years old and we’re a decade post-HIPAA. Yet health care professionals are still skeptical that the Internet is safe for patient data. Many still suggest that putting data into the cloud is a violation of HIPAA or HITECH privacy compliance. This article will help you answer the question once and for all — are managed cloud services HITECH and HIPAA compliant? Get a free assessment free assessment of your readiness to migrate to the cloud. We’re sure you’ve heard a lot about the data breaches occurring at hospitals lately. A July Becker’s Healthcare article reports there have been 179 breaches in health care so far this year. Interestingly, the health care data breaches that have made the news lately were of on-premise legacy operating systems that failed to be upgraded with the latest security patches – and most of the breaches came from phishing emails. Advances in cloud computing have improved the security of the services found on the net. When health care providers engage an outsourced IT provider in a managed cloud services arrangement, it ensures compliance with HIPAA and HITECH. Your data in the cloud doesn’t sit on a standalone server. The data exists in a distributed computing model across a large data center. Teams of technology security experts monitor these networks 24/7/365 to protect them from hackers. Managed cloud services are the perfect complement to your internal IT team, who have enough to worry about managing the interoperability of a hospital’s disparate technology systems. Outsourcing IT security to experts focused solely on security ensures patient data will be safer in the cloud. The Department of Health and Human Services (HHS) requires protection of data at rest with full disk encryption, volume, and virtual disk encryption or file/folder encryption. Cloud computing models comply with these rules. Transport Layer Security must protect data shared through the Internet by creating security protocols for user authentication and confidentiality, according to HHS. Managed cloud services comply with this rule. Managed cloud services providers can also add extra layers of security such as multi-tier authentication, encryption, or other proactive prevention, detection, and remediation of any cyber security threats. Network management: It is incumbent upon you to understand where your data will be stored and who is responsible in the event of a breach. Are there redundancies in equipment? Managed services: Whom will you call after hours in the event of a crisis? Are there on-site services available in addition to virtual management? Storage: How often will there be audits? Will the data at rest be encrypted? How often will data be backed up? TOSS C3 helps health care providers with compliant and secure managed cloud services. From assessments to implementation, we help you take advantage of cloud computing models while ensuring your data remains safe from cyber breach. Request a quote on TOSS C3 managed cloud services now.